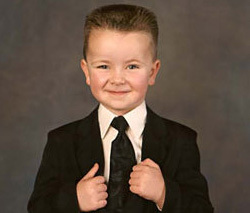 Children are natural-born entrepreneurs. When they’re toddlers, they make homemade mud pies and “sell” them to Mom or Dad. As they get older, they start to understand that adults will pay them small amounts of real money in exchange for goods or services, such as a cup of iced lemonade or walking their dog after school. In 2013, Operation HOPE launched a pilot program in four cities – Atlanta, Denver, LA, and Oakland – to help schoolchildren in underprivileged communities learn the basics of financial literacy and entrepreneurship. In a competition, kids pitch their entrepreneurial ideas to a committee of business leaders, and the winners are given a $500 grant and help in launching their startup businesses. As a result of this “Shark Tank for Kids,” Princess, a 6th grader from Oakland, created Sweet Tooth Bakery, which sells homemade cakes and cookies to local shops. Froylan, a senior at Montbello High School in Denver, got funding for Froy’s PCs, a computer repair business he runs out of his home. Their stories, and many others like them, show that kids, when given the education, opportunity, and guidance, can be entrepreneurial successes. Show them how money grows. Show your kids why investing in two shares of Nike stock will benefit them more than buying one pair of Nike Air Zoom Flight basketball sneakers. Both cost around $160, but only one of those choices will be worth anything five years from now. A hot dog stand at the school football game, a car-care service, or a lawn mowing job teaches so much more than spending allowance money. When kids start small enterprises, they learn about earning, saving, budgeting, and so much more. Teach them how credit works. Kids need to know about credit because it helps them understand how to plan for large purchases responsibly. A kid with little or no money can acquire something she or he really wants. For example, it might involve borrowing money from a parent and then paying off the loan each week with chores after school. Help them make a budget. Teaching kids how to budget gives them a realistic notion of the relationship between work and money, and how budgeting relates so many everyday outcomes, such as having enough for food; school supplies; clothes and shoes; birthday presents; sports, music, and entertainment; tech toys and devices; and other important parts of kids’ lifestyles. Teach them to think big. In the most recent Gallup-HOPE Index, more than 87% of youth surveyed believed there was a correlation between how much education they completed and the amount of money they could be expected to earn. Help kids see that the harder they work at doing well in school, the more income and opportunities they’ll have later on. Kids who grow up in households where parents live under the constant threat of having their car repossessed or their utilities turned off intuitively see the relationship between finances and dignity. No one should have to make a choice between buying food and paying the rent. Help them understand that check-cashing joints or pawn shops take advantage of people who don’t or can’t belong to traditional banks or neighborhood credit unions. Help them start a youth savings account, where they sock away $5 a month. 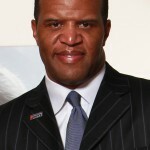 John Hope Bryant is founder, chairman, and CEO of Operation HOPE, a nonprofit banker for the working poor and struggling middle class, which provides financial literacy for youth, financial capability for communities, and financial dignity for all. His bestselling book, ”How the Poor Can Save Capitalism: Rebuilding the Path to the Middle Class” builds a compelling economic argument for investing in America’s least wealthy consumers–and presents practical, positive solutions, with case examples of individuals and companies doing it successfully.